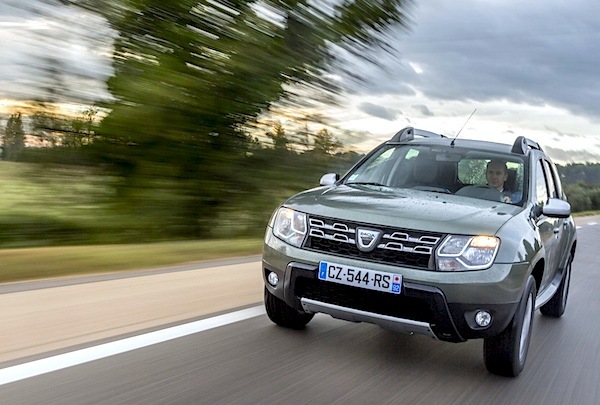 The Dacia Duster is the third best-selling nameplate in Hungary in June. For the second consecutive month, the Hungarian new car market posts the largest monthly total since the 2008 crisis with June up 32% to 9.685 registrations, lifting the half year result up 24% to 45.959 units. Opel slips up to first position thanks to 1.078 sales but the race is close with Suzuki, still leader year-to-date, #2 in June at 1.049 and Ford #3 at 1.024. Skoda slumps to 4th place above Volkswagen and Dacia. The Suzuki Vitara remains the most popular model in Hungary with 635 deliveries above the Skoda Octavia with the Dacia Duster brilliantly rounding up the podium with 315 sales. The new generation Opel Astra shoots up to #5 and the Kia Ceed’s gains 4 spots on May to #6. Full June 2016 Top 10 brands and models below.